Share your experiences with Gixxer SF? Q. Which variant of Gixxer SF is good to buy, FI version or carburetor version? I am using Carburetor SF ABS. It’s very Good! The new Suzuki Gixxer SF with its sporty full-fairing, peppy engine, rich ride and dynamics seems to be been designed for soaring success in India. Has the addition of an Anti-lock Braking System (ABS) made the sterling package that is the Gixxer SF even better, and is it worth the hike in price? 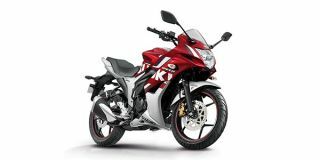 Confused about Suzuki Gixxer SF?